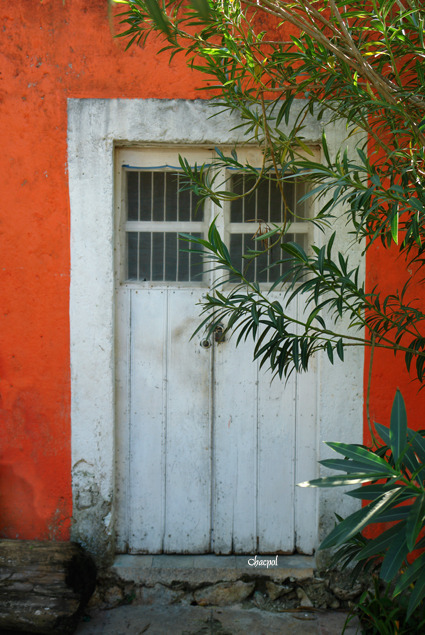 This subject was not one totally unnoticed by many, but no one had dedicated such a detailed narrative to this kind of work before. 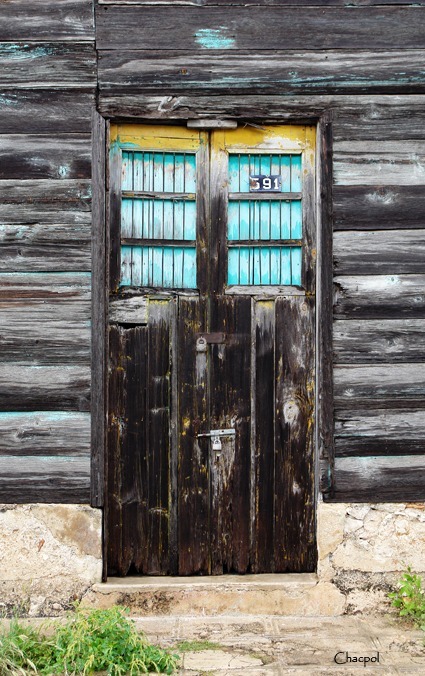 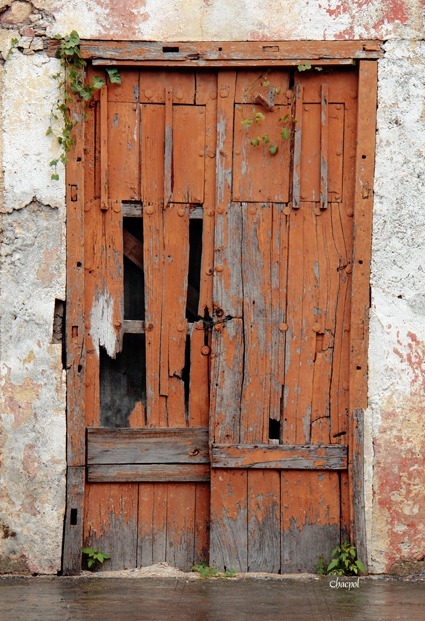 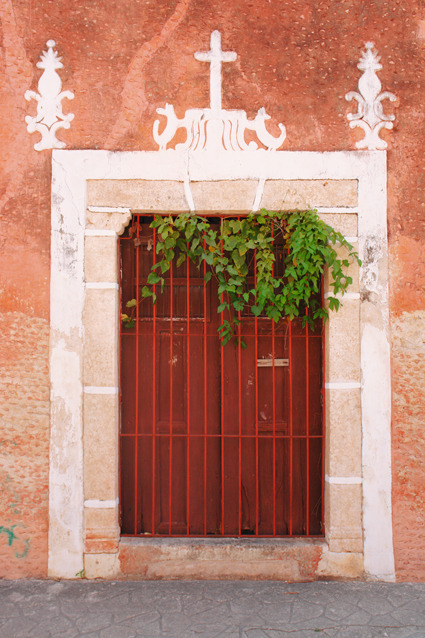 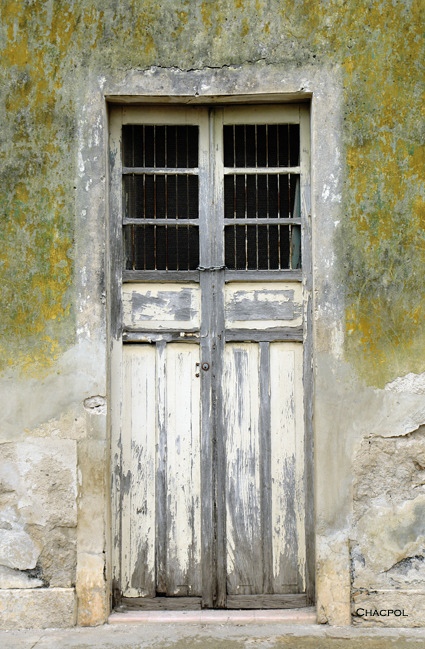 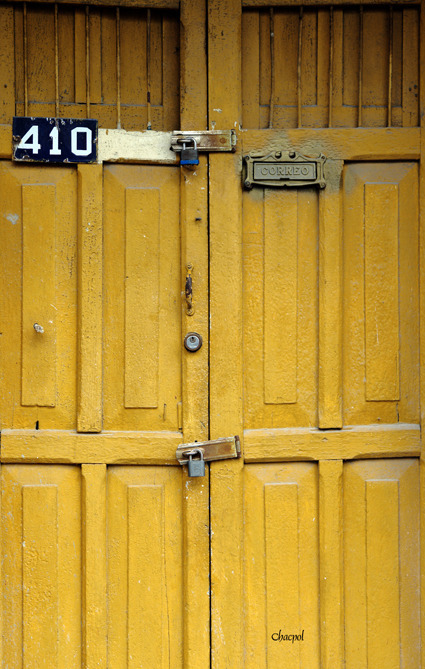 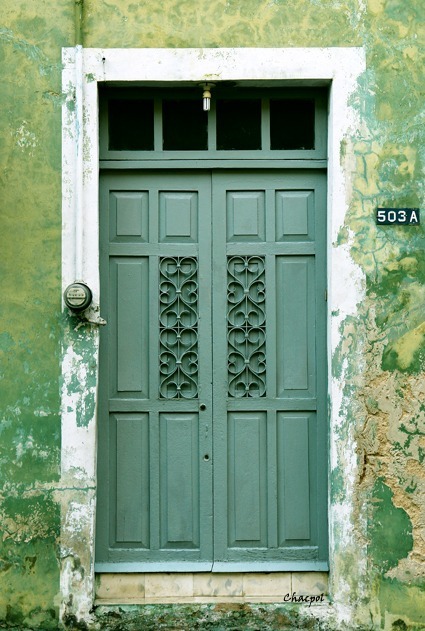 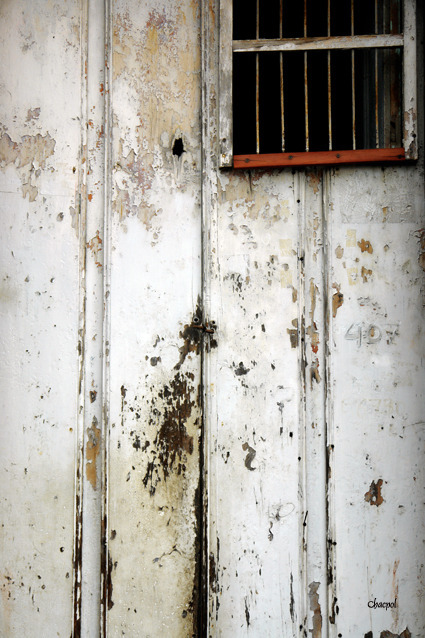 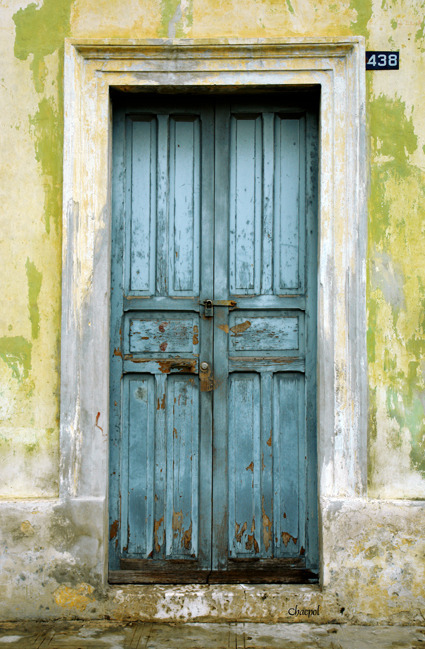 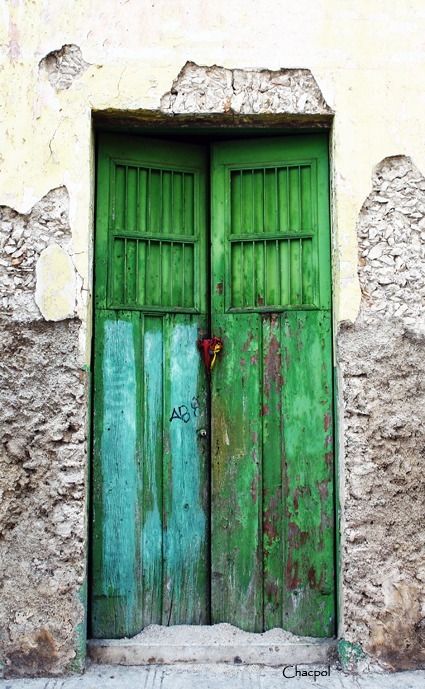 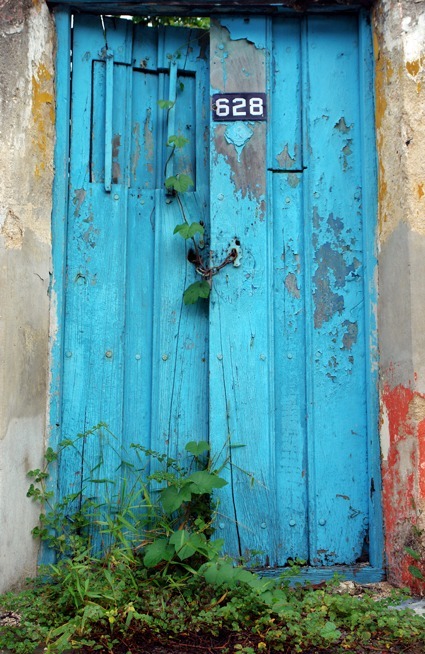 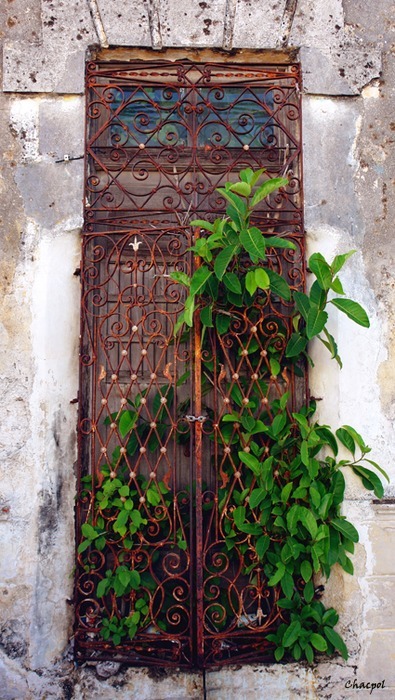 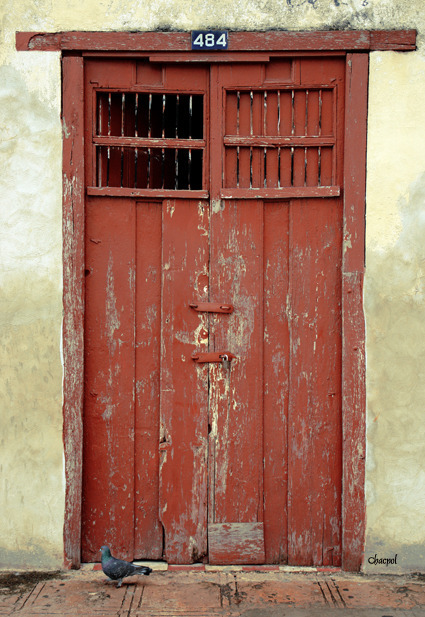 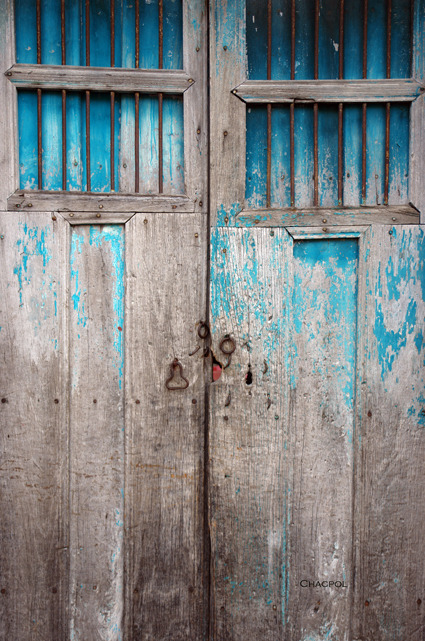 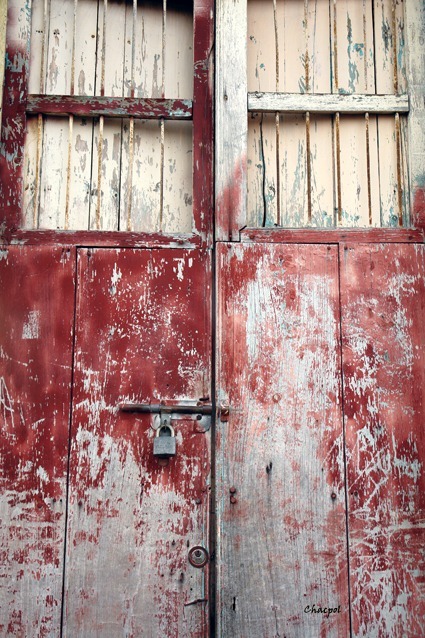 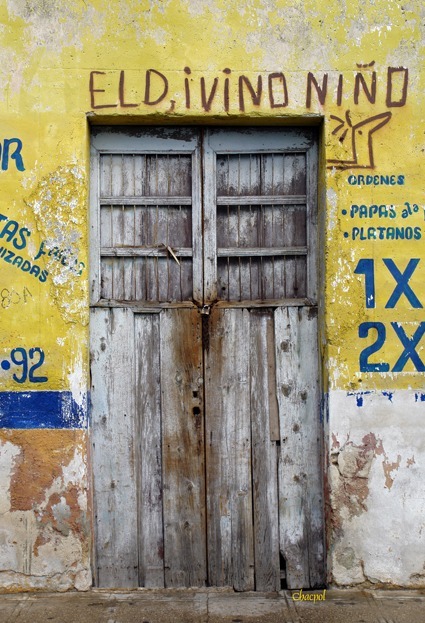 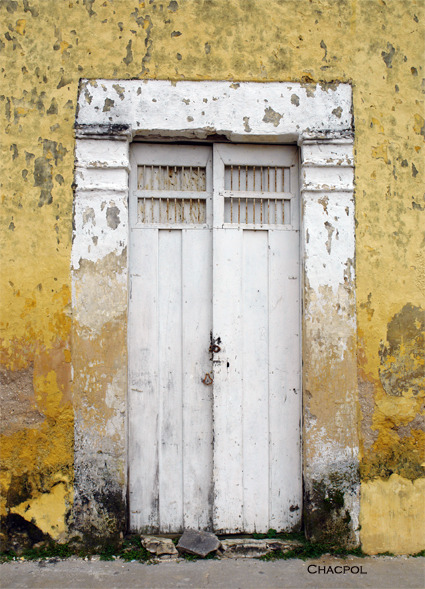 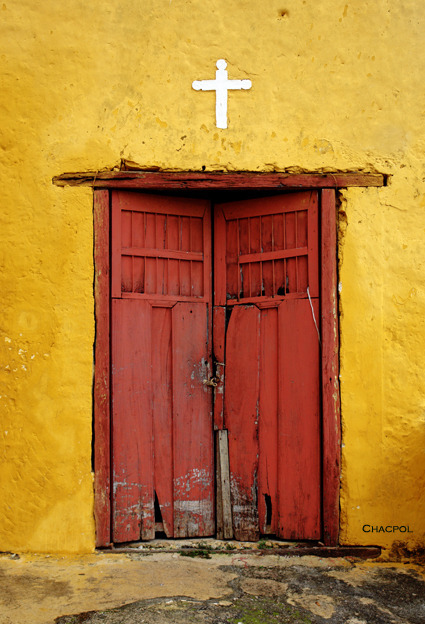 Today in the Yucatan’s doors have become synonymous with the identity of Chacpol, but that is not all; like a child who opens up a new toy to discover the mechanisms, which make it move, Chacpol took the images captured and with a computer program did the same to a far greater degree. 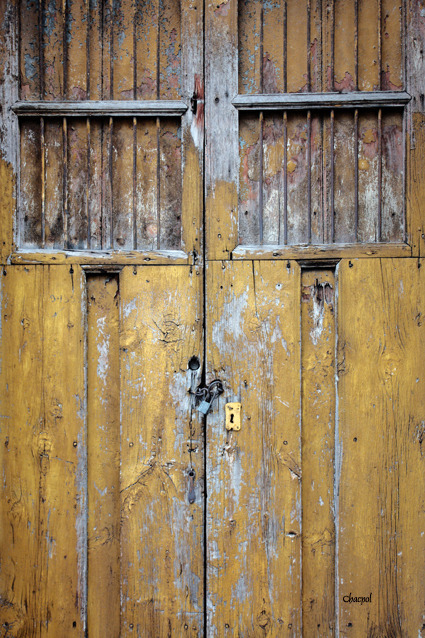 Then, to make matters more elaborate, Chacpol added aged iron finishes and blacksmith work as well other additions, creating photo-sculptures which made the doors seem not only product or a testimony of the past ( if it existed ) , but artistic objects. 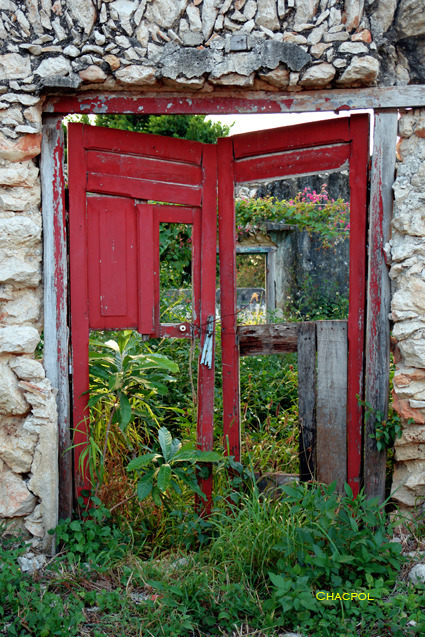 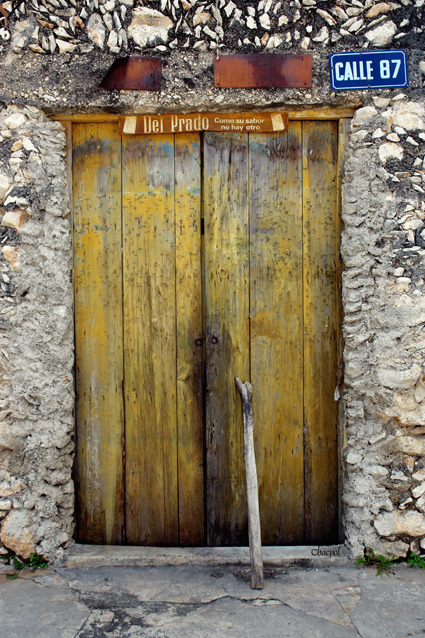 It was the sheer creative energy of Chacpol which conceived these sets of photo-sculptures doors that some identify as those of the Yucatan (but that are equally of Chacpol) a demonstration of his perseverance and creativity which, with appropriate speed or slowness, determined to create something that could not have before be precisely called art. 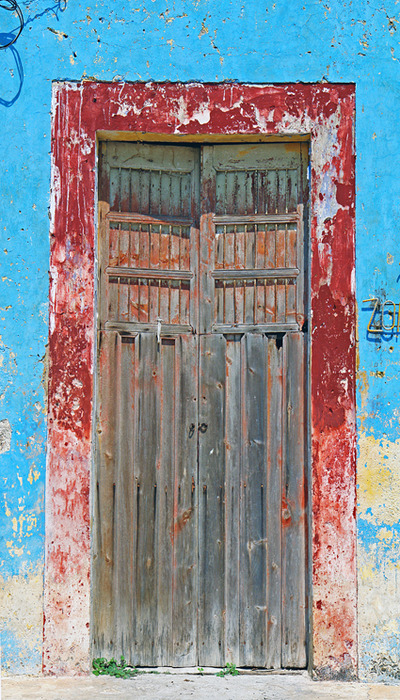 I clarify; to make these doors does not imply that Chacpol has simply distorted them, these doors, which are still everywhere in the Yucatan, are almost the same but exist in another dimension, perhaps awaiting that they too in turn are transformed into a different reality, one which Chacpol as constructed enthusiastically. 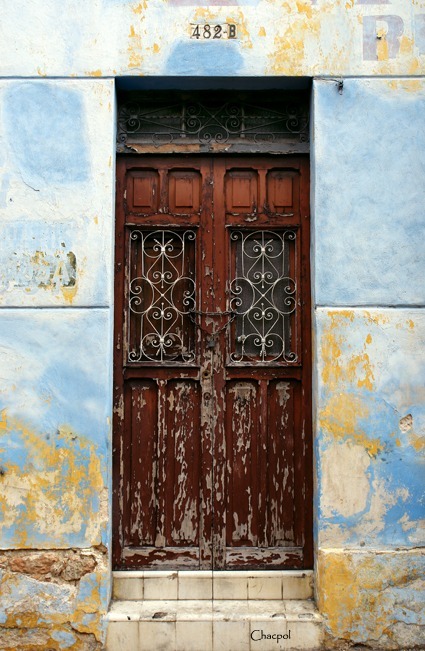 The doors are no longer anonymous- although they will never be viewed like the symbolic doors of legend that open and close mythical Mayan cities, nor as those created by artistic commissions ( for example the Ghiberti for the baptistery of the cathedral of Florence, those of Rodin, or those of Cristina Lucas to open and close the new Prado), they will always be an example of the first rite of passage in wich an artist decides to commit to a work and, and by ricochet, it is an example for the multitude of stories that one can generate from that which we find stimulating in any object, any texture, any color, any flavor or scent. 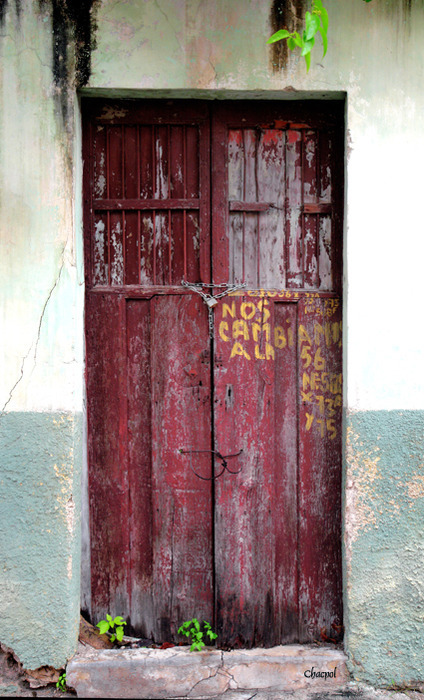 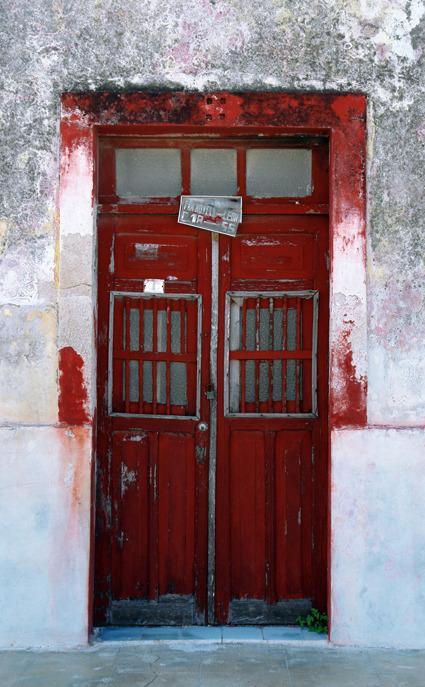 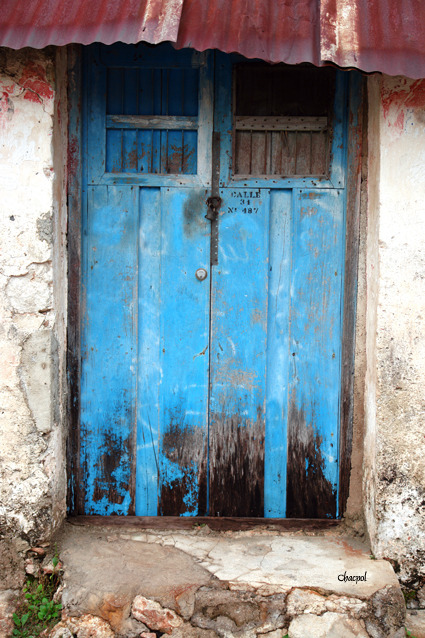 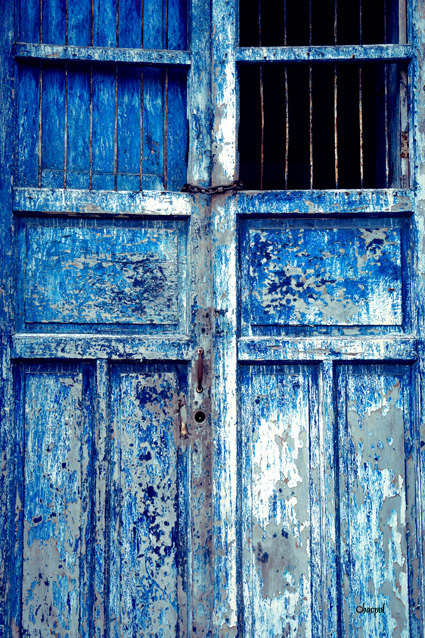 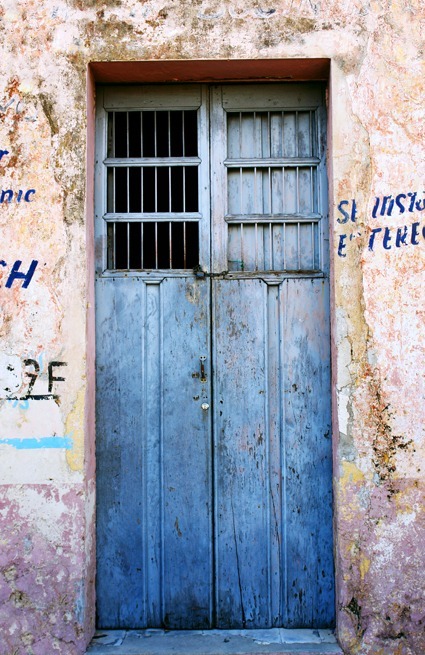 The doors of Chacpol are one of a universe of fragments that in their interweaving, their superimpositions ,their trajectories and their alteration may construct one of the host of signature images that we might have of a certain place. 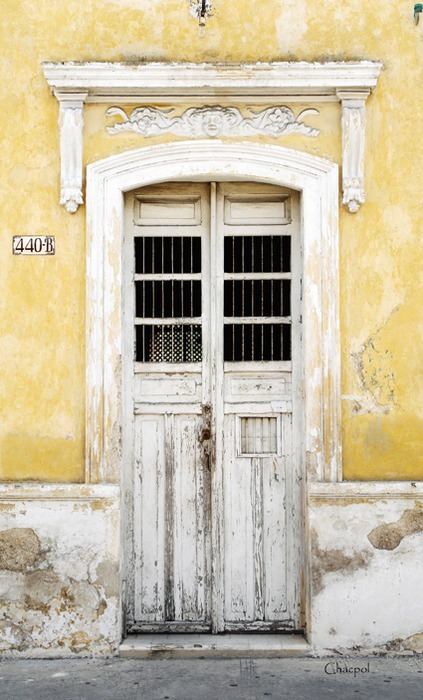 Here the city`s latent transformation and simulation becomes a site of perfection it is a singular, inimitable identity-as that which we create together- born of history and of the present- has never existed before. 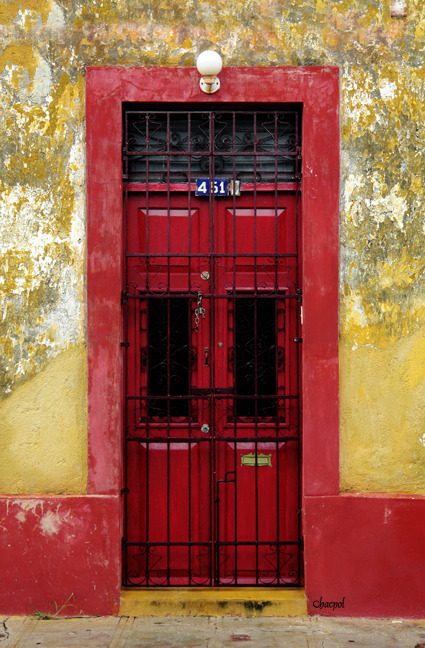 Art critic, AICA member, curator and museographer of Merida`s museum of anthropology and history , Yucatán, México.